I think I like to read about other people’s travels almost as much as I enjoy traveling myself. Over the years I’ve accumulated a small mountain of books – in print, and on my Kindle – written about everything from renovating a home in France’s Burgundy region to Paul Theroux’s account of traveling across China by train in Riding the Iron Rooster. 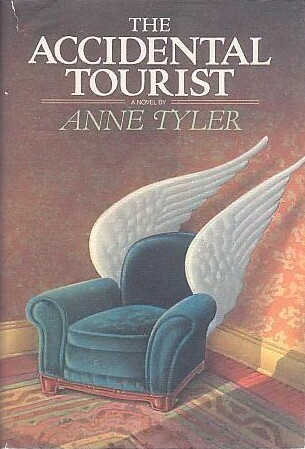 Have you read the book, The Accidental Tourist by Anne Tyler? Her touching novel was a finalist for the Pulitzer Prize and the award-winning movie starring William Hurt, Kathleen Turner and Geena Davis earned Davis an Academy Award. Maybe I’ll attach wings to MY favorite reading chair! And when I am reading a really good book about other places in the world, whether the setting is close to home or maybe on a remote Pacific island, I feel as if my favorite armchair has wings. A well-written, engaging story absolutely transports me to that other place. I LOVE Frances Mayes’ writing. You can almost smell the flowers when she describes the varieties of roses in her Tuscan garden. When Under the Tuscan Sun was published in 1996, author Frances Mayes introduced us to one of Italy’s most beautiful regions and Tuscany soon became a household word. The 2003 movie starring Diane Lane brought the breathtaking beauty of Tuscany to the big screen, and prolific writer Mayes has continued to charm us with her love of life in Italy ever since. 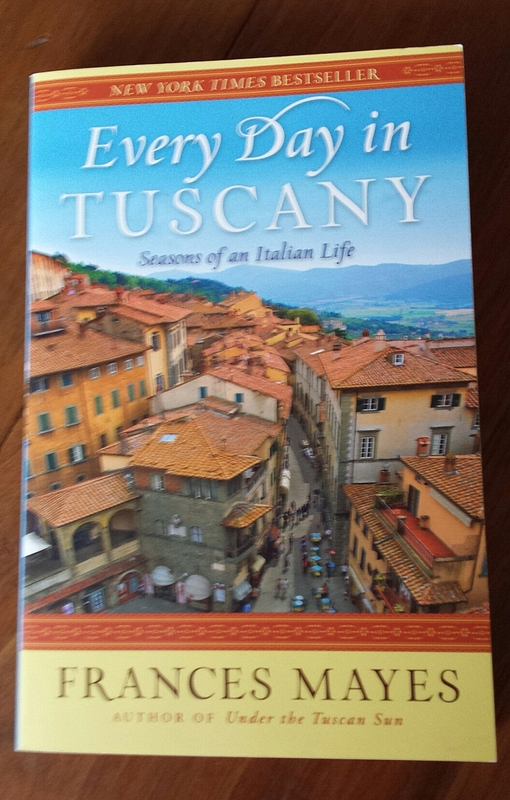 One of my favorites, Every Day in Tuscany, celebrates the “Seasons of an Italian Life.” Curl up on the couch and read this with a cup of tea and a few biscotti. How I would love to go on one of Dario’s tours of Chianti! 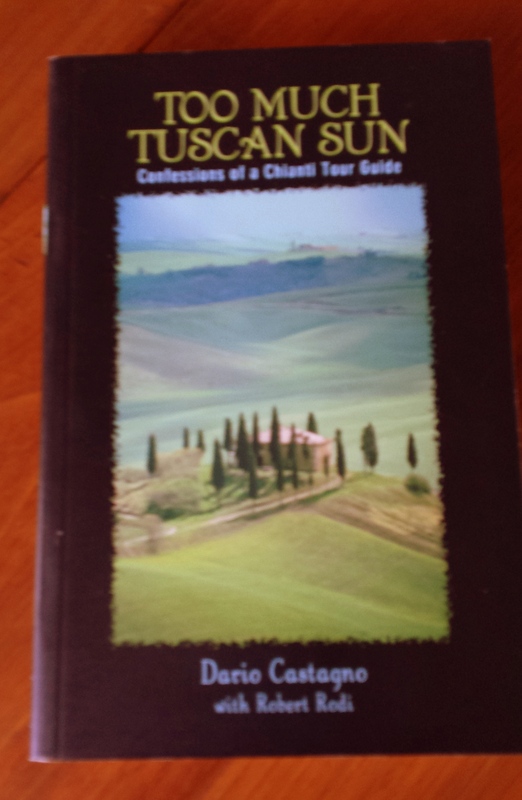 The title of Dario Castagno’s Too Much Tuscan Sun is a fun play on Mayes’ original story and lets us in on some of the hilarious experiences of a Tuscan tour guide. His tourist tales are entertaining, and at the same time I enjoyed learning of a number of lesser-known places I’d now love to visit in the Chianti region (part of Tuscany) where Castagno leads his fortunate clients. Spend a year living in Rome? Bellissima! 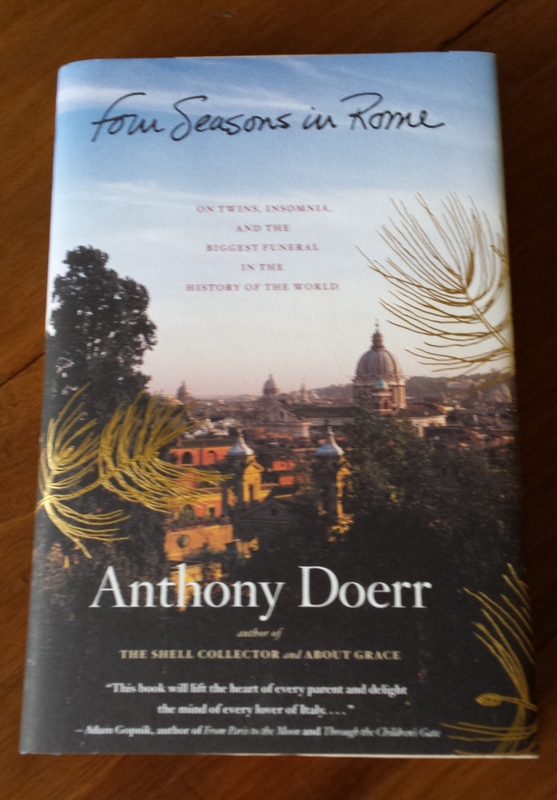 Four Seasons in Rome is not so much a travel memoir as a remembrance of a year in the life of its author, Anthony Doerr. The award-winning writer was awarded the Rome Prize from the American Academy of Arts and Letters, giving him a living stipend and use of a writing studio in Rome for one year. The experiences of Doerr, his wife, and twin infant sons make for a very different perspective on life in the Eternal City. On my first trip back to Rome after reading this book I made a point of visiting the magnificent all-white church and the café with “the best cappuccino in Rome” around the corner from the Pantheon. It was a special experience to visit these places described by a much-admired writer. 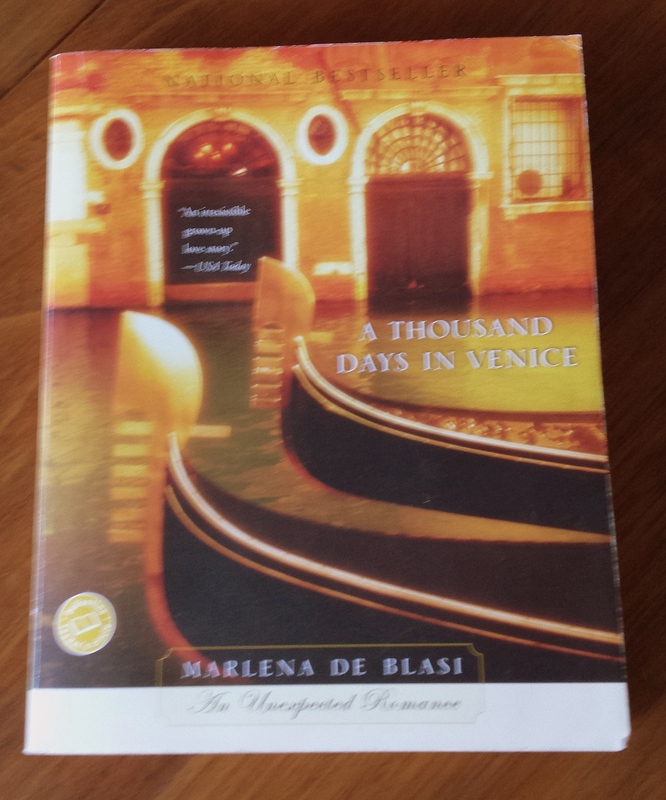 Finally, Marlena De Blasi, a food and cookbook writer from the U.S., went to Venice and fell in love with the man with the “blueberry eyes.” A Thousand Days in Venice tells the story of their serendipitous meeting in that romantic city, a meeting that ultimately led De Blasi to sell her home in St. Louis and return to make a new life in Italy with her Italian husband. I’m a sucker for middle-aged love affairs. There is a sequel, A Thousand Days in Tuscany, where she and her husband buy a home in Tuscany, that is also a good read. I hope they are living happily ever after! In case you’re wondering, yes – I have read all of these books. I have read these books and many more about Italy. These are just a few of the highlights! Another time I’ll tell you about some of my favorite armchair travel reads for England, France and Australia, just to name a few enticing destinations. Look for these titles at your local library or favorite bookstore and please – let me know if there’s a travel memoir you’d like to recommend to me! I love a good book suggestion! This entry was posted in Travel, Uncategorized and tagged Anne Tyler, Annie Hawes, Anthony Doerr, armchair traveler, books, Chris Harrison, Dario Castagno, Frances Mayes, Italy, John and Nancy Petralia, Laura Fraser, Marlena Di Blasi, Michael Tucker, Paul Theroux, Rome, Sicily, Theresa Maggio, Tim Parks, travel memoir, Tuscany, Venice. Bookmark the permalink. Yes, love travel memoirs. My favorite. ..Around Ireland with a Fridge. Loaned to Chris a few years ago. She loved it too. Cindy, I loved “Around Ireland with a Fridge” and will include it in my UK armchair travel report! Laugh-out-loud funny book!